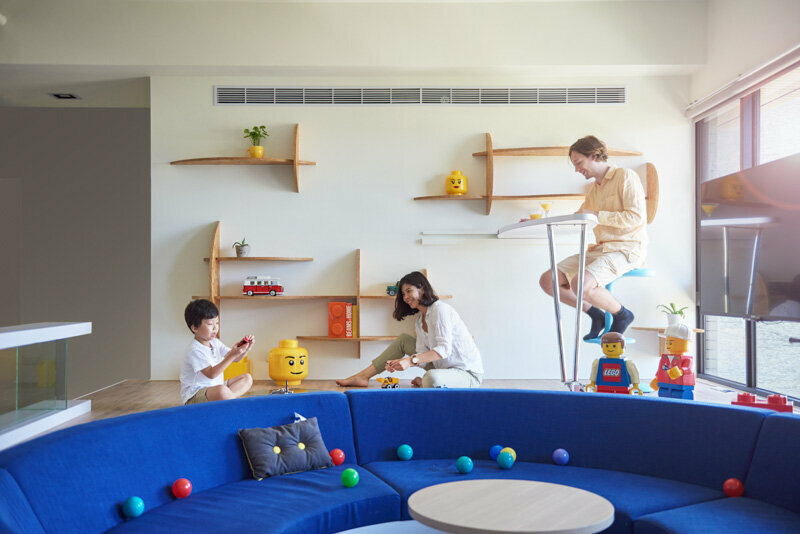 The Lego Play Pond House is a family home designed by HAO Design. 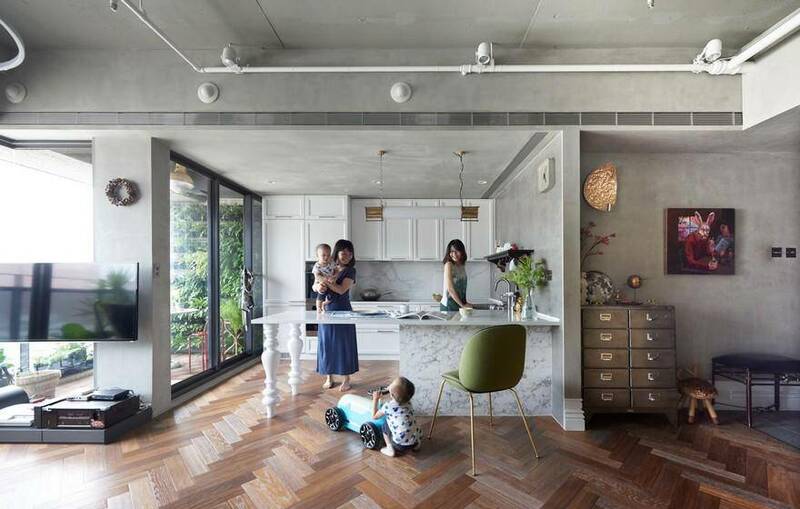 The property has an area of 122 square meters and is located in Kaohsiung City, Taiwan. 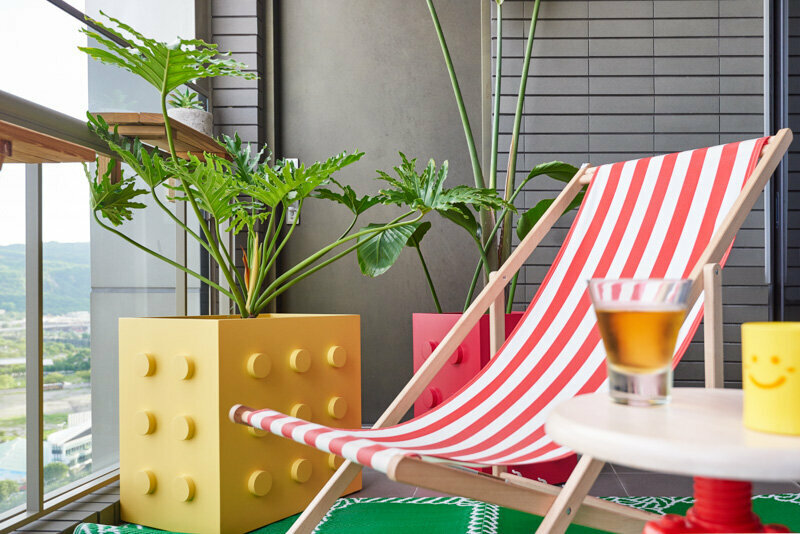 Description by HAO Design: In this Lego Play Pond, a creative imagination can generate countless colorful “ripples.” Simple components combine to create imaginative spaces with great visual appeal. 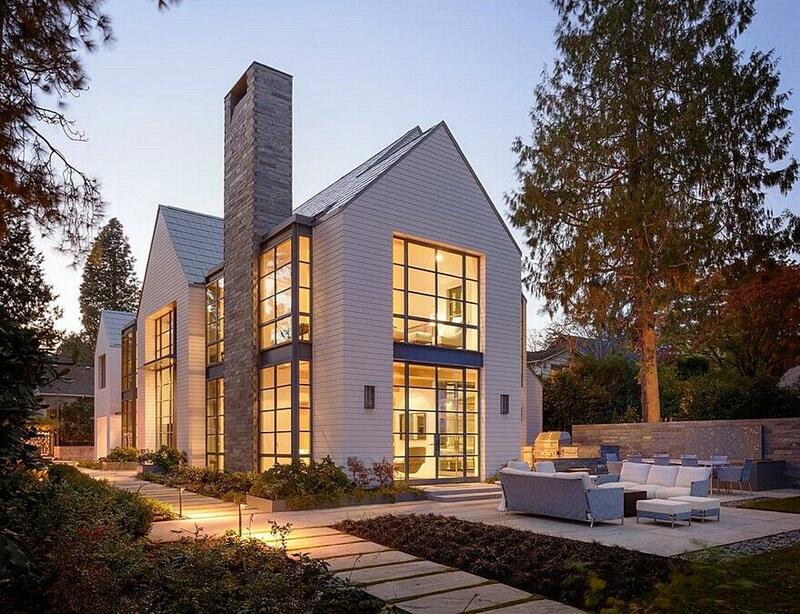 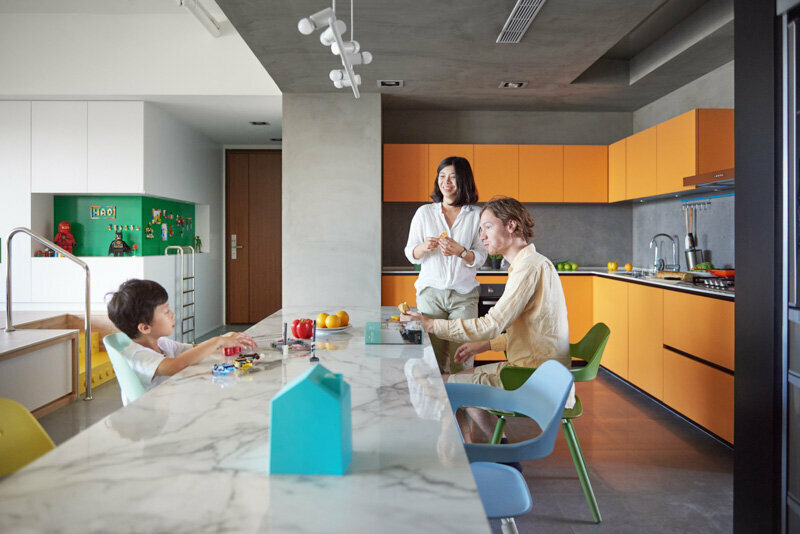 The whole concept of home life is redefined, with the appearance of a “magical island” that surpasses mundane reality, and which seems to bring childhood memories to life. 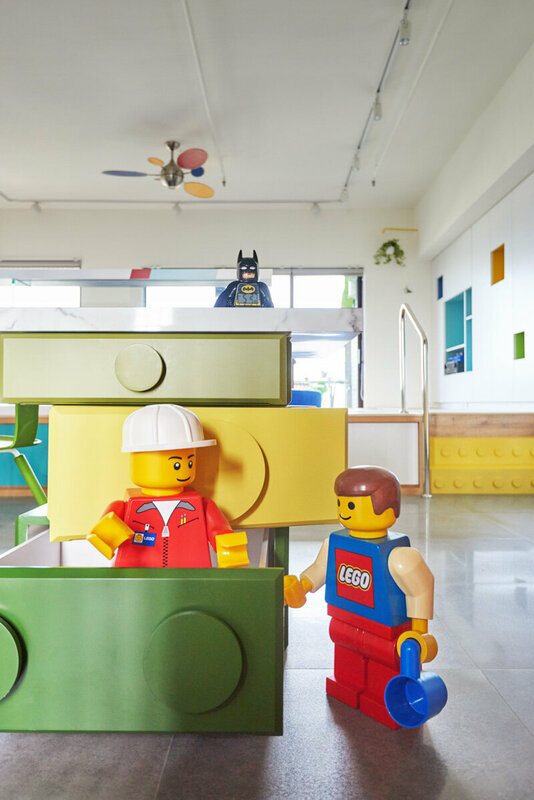 Embodying immense potential for fun and enjoyment, the Lego Play Pond represents a “secret cave” that can be used for storing Lego and other items; the photos and toys displayed on the Lego boards portray their own distinctive life stories. 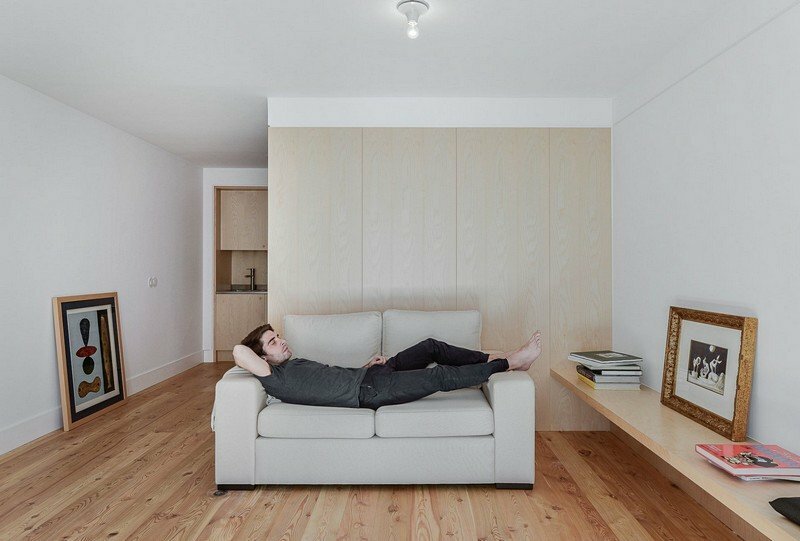 The round sofa, with its central depression resembling a swimming pool or ball pit, creates a summertime atmosphere, while the light refracting through the glass makes the smaller round depression at the side seem like a pond, the reflections in which create optical illusions through the play of light on the surface. 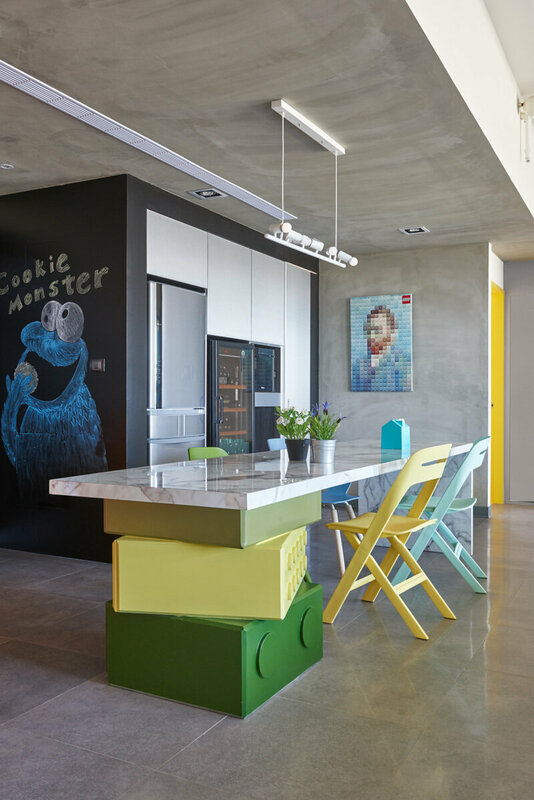 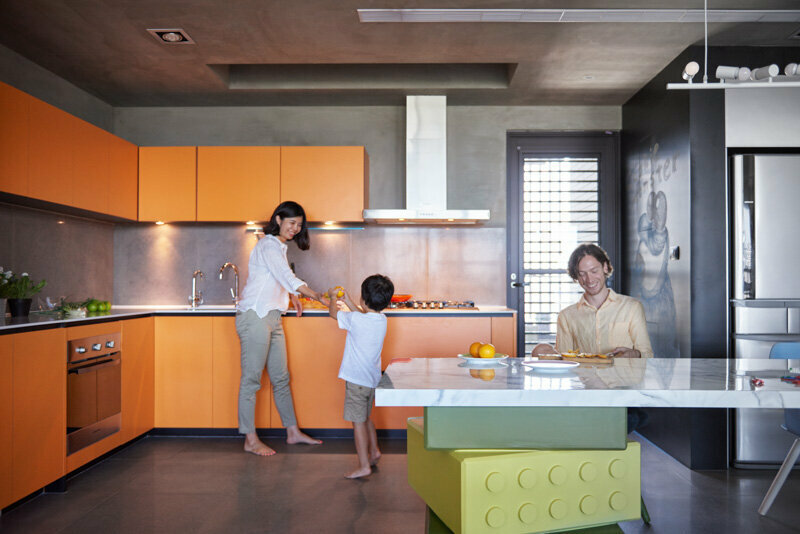 Below the “pond” are spaces for the householder to store wine or Lego; the elevated floor surface has room underneath for drawers that can be used for storage purposes, enhancing the functionality of the design. 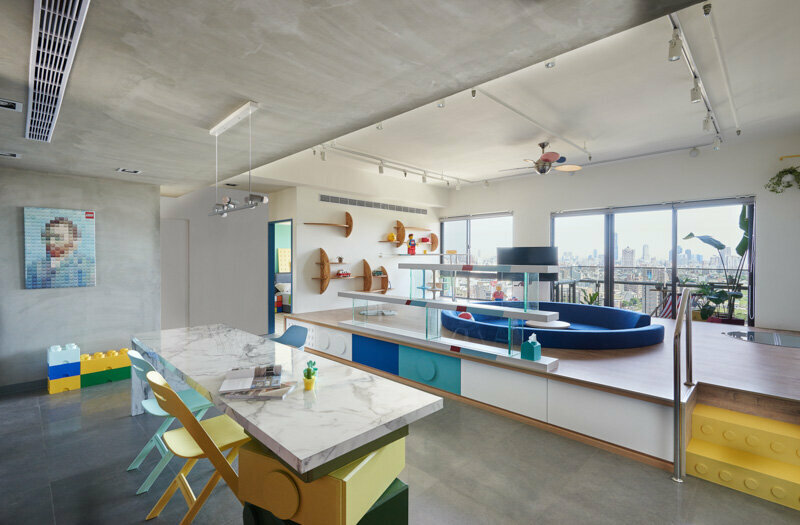 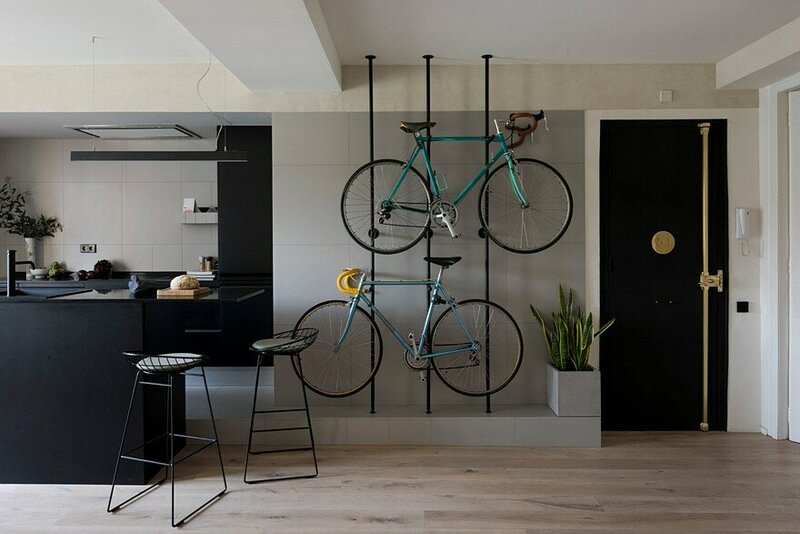 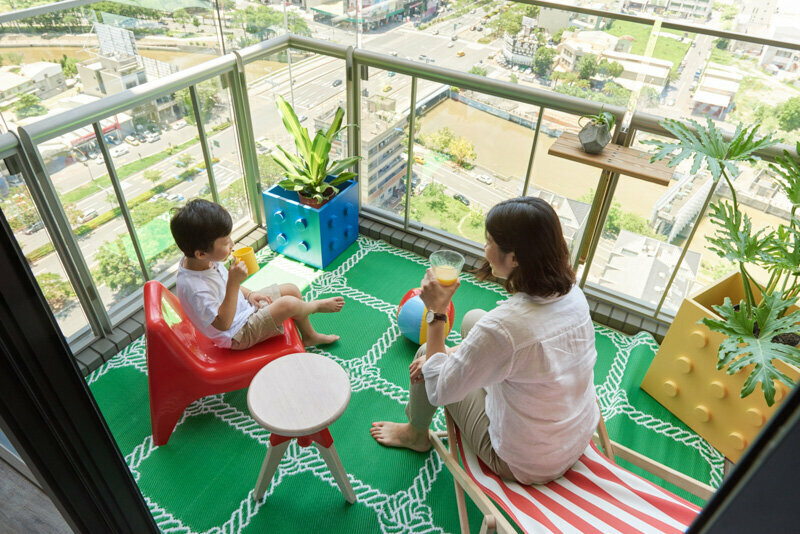 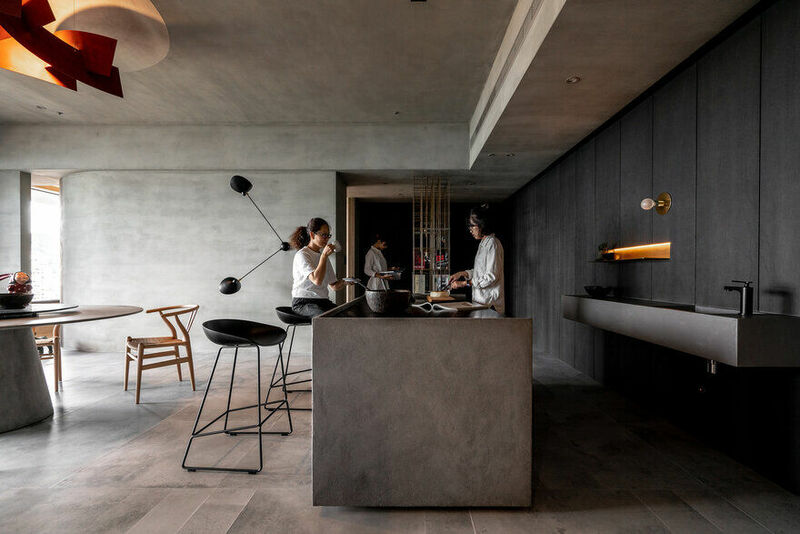 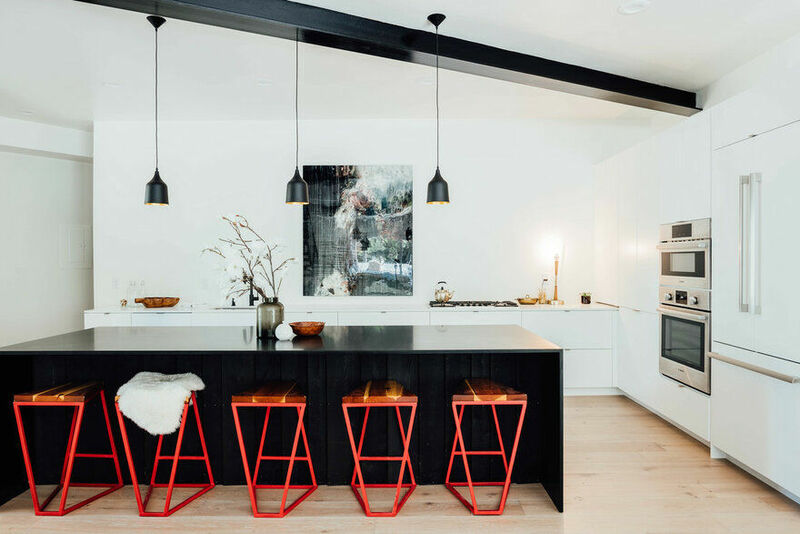 The variation in the height of the floor encourages new kinds of utility and new types of interaction between family members, by overturning – in a “storylike” way – preconceived ideas about how people should move through a residential space. 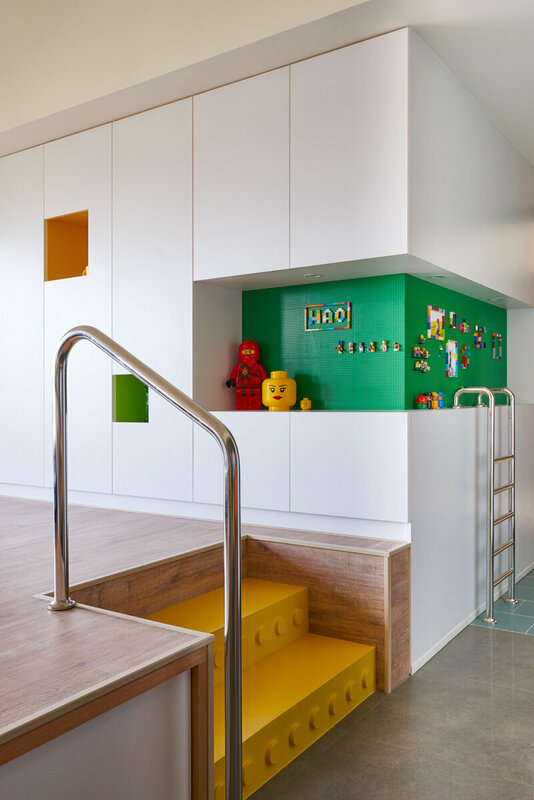 The swimming-pool-style handrail at the entrance, and the aquamarine tiles just inside the entrance, hint at the playful nature of this residential space. 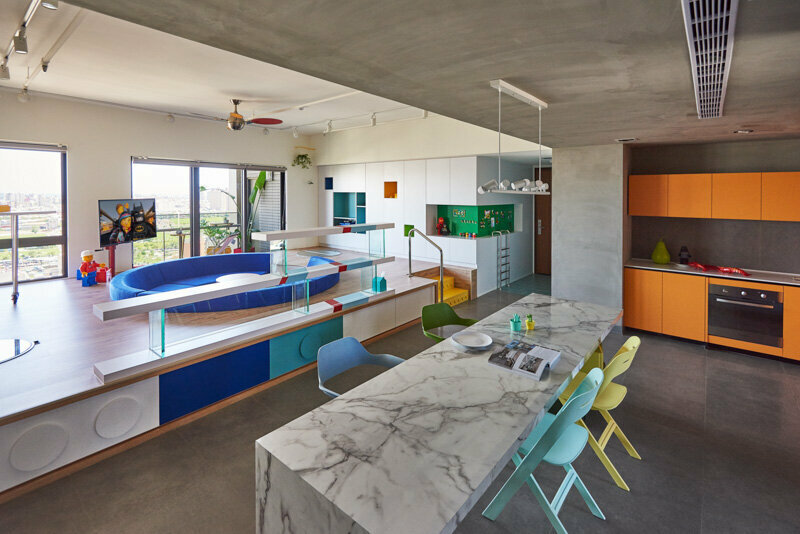 The differing assemblages of Lego set off the stairs and drawers to great effect, as well as the surfboard-shaped moveable bar-top, providing inspiration for a home life that combines practicality with a sense of fun. 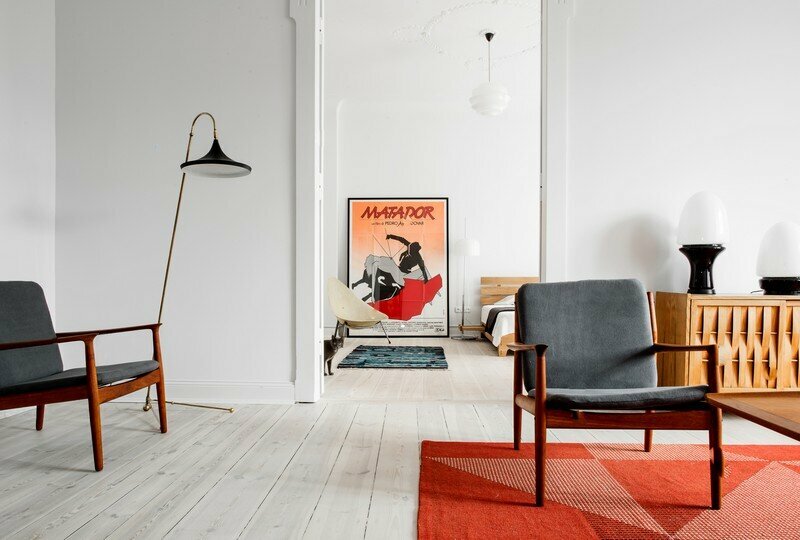 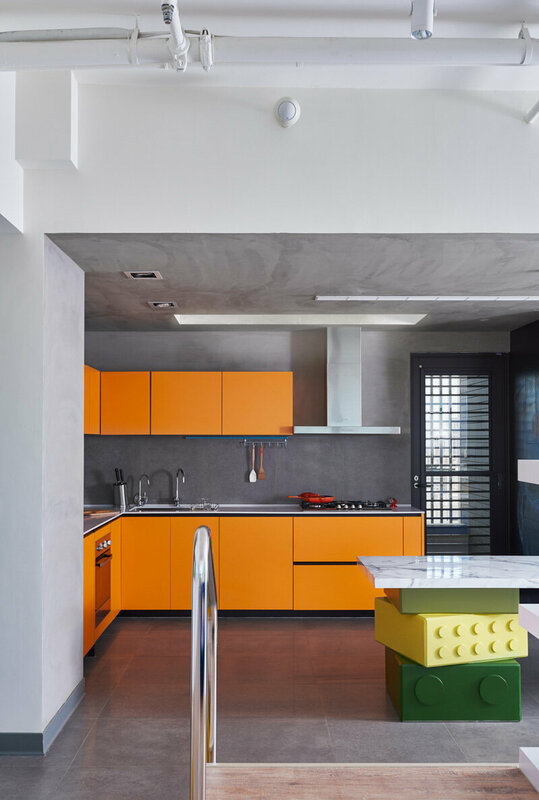 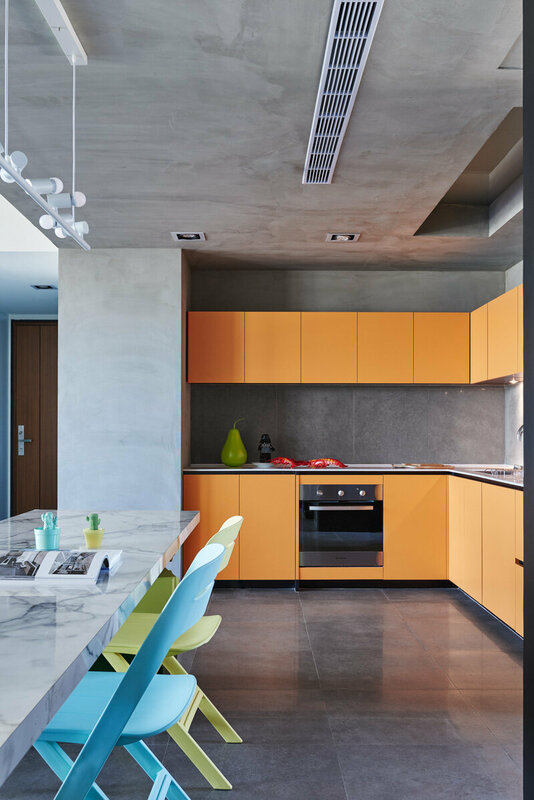 The wall surfaces, which have concrete gray as their basic color tone, help to give the orange kitchen fittings and the indigo sofa an even more striking visual appeal. 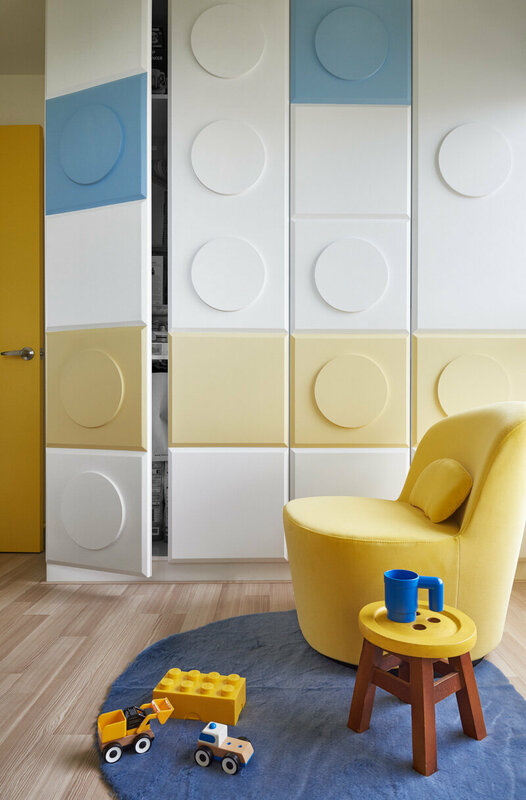 The cave-like downward-sloping design ensures that every corner of the structure creates a spatial effect evocative of a “secret base.” In the bedroom, the use of white as the basic color enhances the sense of fun that the blue and yellow tones give off. 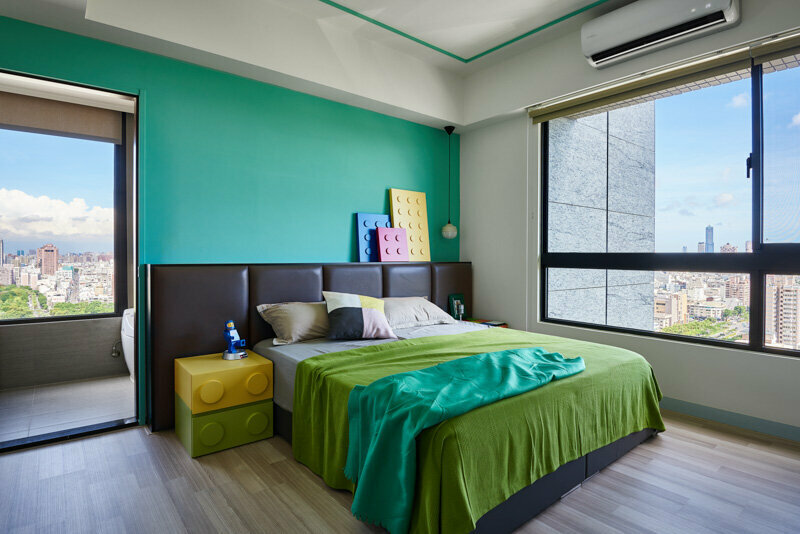 When Lego is brought from lively public spaces into private spaces, a softening of the visual effect created by the Lego elements provides the tranquility required in a bedroom.